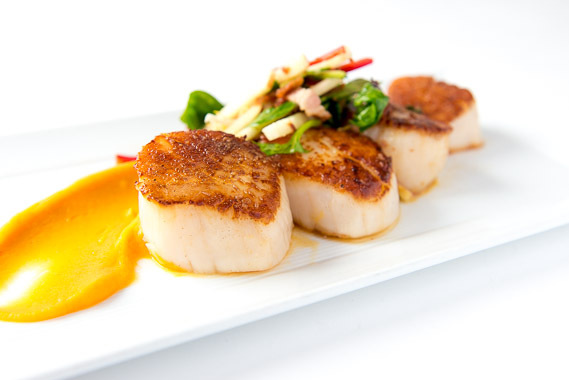 We dry-sear our colossal diver scallops and pair them with a spiced butternut squash puree. 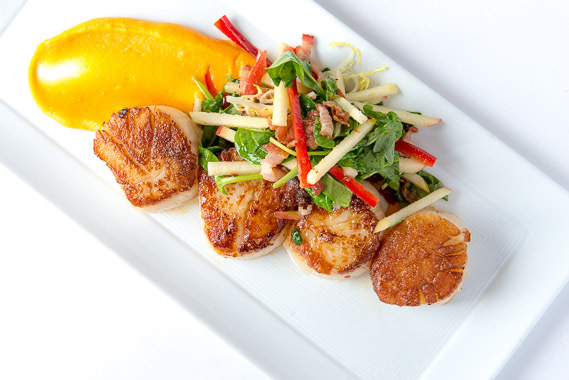 We finish this with a slaw of Honeycrisp apples and baby spinach with a warm bacon vinaigrette. 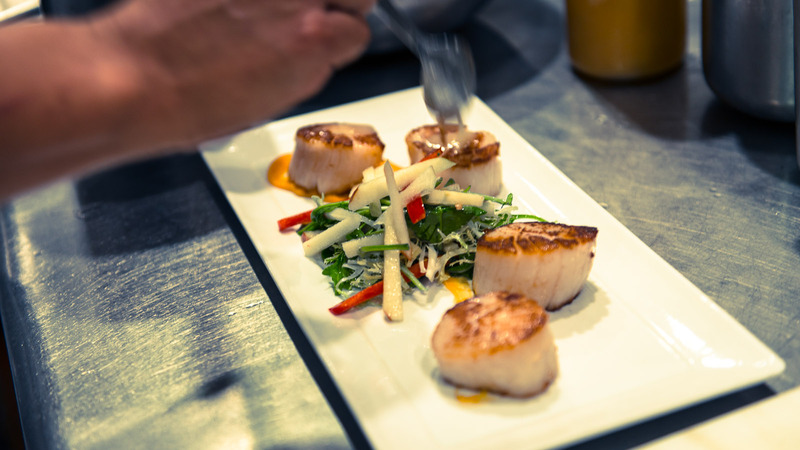 We are very particular about the size and quality of our scallops. 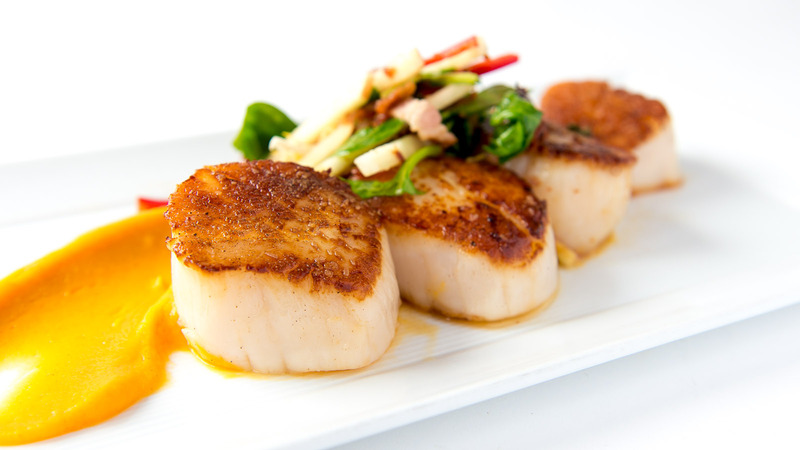 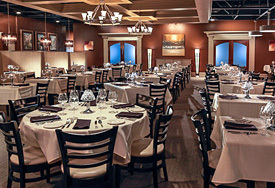 Our scallops are enormous; we think you will not find larger scallops anywhere else in Cincy!